As you share and/or interact with other Pathbrite users, and users shared content with you, your Shared With Me page will get populated. 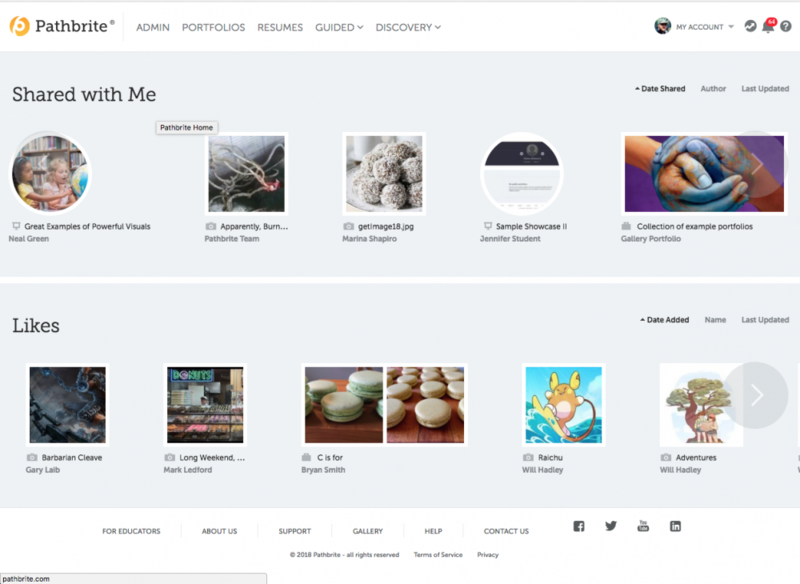 This page will also keep track of any portfolios or portfolio items that you’ve Liked. From this page you can remove and view all your Shared and Liked content.